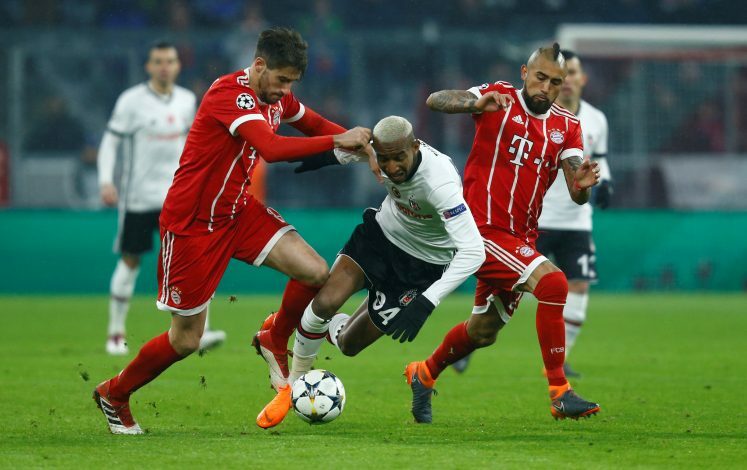 Anderson Talisca has been the subject of much interest in recent weeks, with the doubt surrounding his future creating much of a stir in the media. The forward, who is currently on loan at Besiktas, is hot property in Europe right now. The Turkish club has an option to buy him at the end of his loan spell, but they face some serious competition from rival clubs, including the likes of United and, quite surprisingly, Wolverhampton Wanderers. The Championship high-flyers have had their pockets bulging recently, following the club’s takeover by Fosun International – a Chinese business group. Fortunes have been on the rise, and so has their ambitiousness in the transfer market. They are now even daring to go up against Europe’s finest in the market, as they prepare to return to the Premier League after seven long years away. Talisca has been eyed by Wolves since Fosun’s takeover, and they are reportedly ready to offer as much as €30 million to secure his signature – a fee that will be a new club record if the deal goes through. Jose Mourinho, though, has been equally keen on a move for the Brazilian, having watched him for years. The United boss has been interested in Talisca since his days at the Chelsea helm, and even claimed he would have had him if it weren’t for issues with his work permit. Besiktas have the first option to his signature, but they are attempting to talk to Benfica to bring the price down. That may reduce the Portuguese club’s willingness to sell to them, and thus, the battle for Talisca would probably go down between United and Wolves.